Author(s): Jan Felix Joseph, Maria Kristina Parr. Institute of Pharmacy, Freie Universität Berlin, Königin-Luise-Str. 2+4, 14195 Berlin, Germany. Anabolic androgenic steroids (AAS) are some of the most common performance enhancing drugs (PED) among society. Despite the broad spectrum of adverse effects and legal consequences, AAS are illicitly marketed and distributed in many countries. To circumvent existing laws, the chemical structure of AAS is modified and these designer steroids are sold as nutritional supplements mainly over the Internet. Several side effects are linked with AAS abuse. Only little is known about the pharmacological effects and metabolism of unapproved steroids due to the absence of clinical studies. 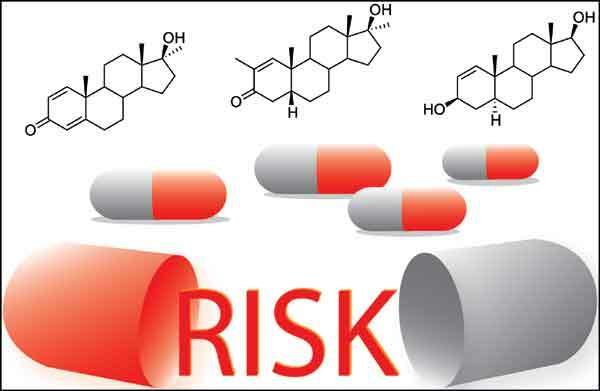 The large number of designer steroid findings in dietary supplements and the detection of new compounds combined with legal loopholes for their distribution in many countries show that stricter regulations and better information policy are needed. Keywords: AAS, designer steroids, dietary supplements, performance enhancing drugs. Affiliation:Institute of Pharmacy, Freie Universität Berlin, Königin-Luise-Str. 2+4, 14195 Berlin, Germany. Keywords:AAS, designer steroids, dietary supplements, performance enhancing drugs. Abstract:Anabolic androgenic steroids (AAS) are some of the most common performance enhancing drugs (PED) among society. Despite the broad spectrum of adverse effects and legal consequences, AAS are illicitly marketed and distributed in many countries. To circumvent existing laws, the chemical structure of AAS is modified and these designer steroids are sold as nutritional supplements mainly over the Internet. Several side effects are linked with AAS abuse. Only little is known about the pharmacological effects and metabolism of unapproved steroids due to the absence of clinical studies. The large number of designer steroid findings in dietary supplements and the detection of new compounds combined with legal loopholes for their distribution in many countries show that stricter regulations and better information policy are needed. Blood-Brain Barrier ABC-transporter P-glycoprotein in Alzheimer's Disease: Still a Suspect?